Nice To Have Some Time Together. 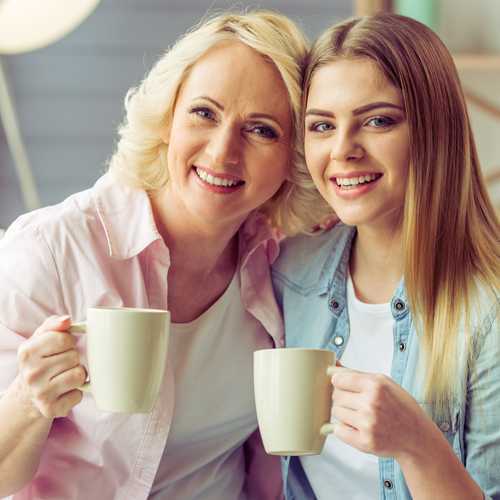 Whether you are coming down for a mother-daughter sorority weekend or just to spend time with your daughter, you will find plenty to do together. Shopping in Boca Raton is easy to find. There is a plethora of shopping right near FAU, including plenty of big box stores, but the kind of shopping that may come after the call that cries, “I have nothing to wear,” exists too. These also may be the stores you may want to visit should you get lucky enough to partake in a Mother-Daughter weekend. Right across the street from FAU, you will find University Commons. University Commons is home to Nordstrom Rack and a new but becoming a favorite boutique, Etiquette Boutique. After shopping, have lunch at J. Alexander’s, P.F. Chang’s, Shake Shack or Mario’s Osteria. Further east from campus is Mizner Park, home to many small shops and restaurants. Mizner Park is also home to few favorite boutiques among FAU students such as Francesca’s, LF Boca, and Shusha Boutique. The Town Center Mall of Boca Raton, 10 minutes from campus, has Macy’s, Nordstrom, Sears, Saks, Neiman Marcus and Bloomingdales as anchor stores. The Town Center mall is home to several popular stores like Forever 21 and American Eagle, and several high-end stores such as Gucci and Tory Burch. The Town Center is a large mall that is home to over 100 shops and several restaurants; there’ s something for everyone. It’s inevitable that in four years at FAU, a little shopping expedition may be called for. I’m not going to lie, it’s one of my favorite past times. Should you get down to FAU for a little mother-daughter time, you may find yourself at one or more of these. And when you’re done, you and your daughter may want to indulge in a mani-pedi at Snappy Nails or Venetian Nail Spa, two of the favorites among Owls. Be sure to remind your shopper to ask for student discounts; many stores offer one with an ID. Some of the salons do as well. If a movie night is what you are looking for, head to the Cinemark Palace 20. There are, as the name says, 20 movies to choose from; all in fabulous reclining chairs with reserved seating. There is also the iPic Mizner Park, which offers a more luxury movie watching experience. Perhaps something will be going on at the Sunset Cove Amphitheatre while you’re there or maybe a stroll through the Japanese Gardens at Morikami is in order.